Every day I am on eBay searching desperately for the 2018 Panini Illusions Elusvie Ink Autograph Purple 1/1 parallel for Rodney Hampton. However one of those days I discovered something marvelous. I discovered that Rodney had even more cards out on the market thanks to Panini's release 2018 Panini Select football. Once again Rodney is only found in autograph form but this time with 11 cards to chase. Ugh! So I am looking for trading friends to keep an eye out on any auctions for these cards and grabbing them for me and I will trade with you for it. Here are my overall needs. I do have the Signatures Maroon Prizm /75 and base Prizm /199, Die Cut Tie-Dye /25 thanks to my buddy Bryan and the Gold Die Cut /10 thanks to Tim and the base Tie-Dye /25 thanks to Midwest Box Breaks but the rest are needed. Just don't be like the guy who had the 1/1 Die Cut black autograph. Yes, someone already pulled one of the 1/1's! He contacted me about it on Twitter from a guy I don't even follow that told him I would be interested. Upon being contacted, I told him I can't buy and can only trade and he said we could do that and it sounded like a positive thing. I stayed up late that night trying to pull off the trade and by midnight he felt we were roughly $20-$25 off on. Great. I would wake up in the morning and finish it up. No. That's not how it went. He stuck that card on eBay overnight for $199 OBO. He fetched in a few offers and best one was $83 so we still had a good trade to go. Then he got another for $95 and felt like he could get even more so the trade soon became a "need PayPal and a card deal." I had already stated I didn't have any funds and the only way I add to my collection is through trading. So long story much shorter, I ended up backing out as I didn't have the funds and he ended up selling it on eBay. I was this close. This close to sealing the deal on the biggest card from the set. Had that been any other collector who knew me, we would have gotten that deal done. Especially with how much I offered for it. Way better players for Rodney Hampton that's for sure. So it's disappointing but I understand he wanted the money but should have started that from the beginning and never taken offers from me for a trade to waste my time and sleep over it. Anyway, to put a positive spin on this, I am seeking trades only for these cards. 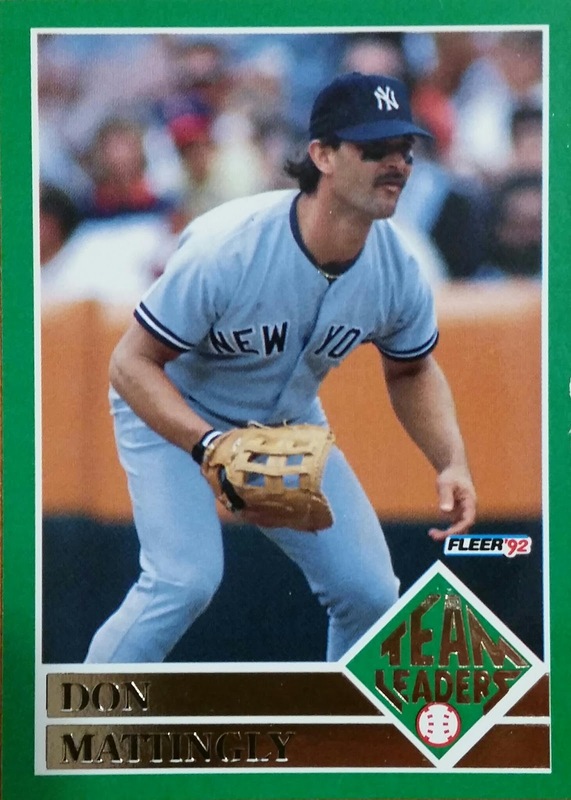 If you pull or pick one up on eBay, I am sure I will find a way to make the trade work but I won't give up the farm for Rodney Hampton either. I guess I should say I will find a way to make a fair trade work and will even do it some in your favor just because you took the time to do it for me. You ever forget about some products? Well I have. Back in 2013 Topps released a 75th Anniversary product that celebrated their diamond anniversary and included a look at over 100 entertainment sets. The base set included 100 cards including a base card I had wanted I forgot about. Ghostbusters 2 had a card in the set and of course being a fan I wanted it at the time, but as time passed, I had forgotten about it. That's until a few days ago when @CWbreaks messaged me asking me if I had and wanted it. Here is a look at the card. Great looking one at that. And he also graciously passed along the rainbow parallel. Now I want the other parallels in Diamond Anniversary, Modern Gloss and Printing Plate. The rainbow foil card alone looks amazing. Another thing to note about this card, the phrasing at the bottom. Until Next Time... Well, after so, so much time has passed, THERE WILL BE A NEXT TIME!! And that next time is on July 10th 2020. That's right, a REAL TRUE SEQUEL will finally hit theaters!! I know many complain about the all girl movie, but honestly I loved that one as well. It was it's own entity. Now it's time for a real sequel and i hope the cast returns in some form or another. They have to right? Thanks to @CWbreaks for the mail day. I must also mention that they are a must follow, I know I throw that word around a lot but I wouldn't suggest you follow someone unless it's worth it, as they are always doing giveaways but also shares his mail days and TTM scores. I have learned some more about TTM because of him. To keep the mail days rolling in, I made some small minor trades but bigger impacts for me PC ones. 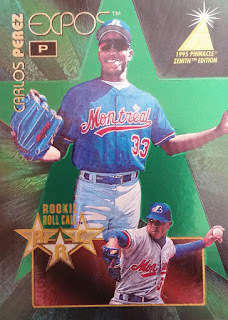 I was also fortunate to find traders that would let me mail PWE so I wouldn't have to find a way to pay for shipping which can usually take weeks to do. My first trade was with Nachos Grande blog who had some stuff left over from his trade-athon. I had my eye on a couple non sport cards for my collection and was able to work out a trade with him for those. Allen and Ginter Val Kilmer relic. Yeah I do already have one, but what's wrong with another? And a Rancic auto. He was one of the winners from Donald Trumps reality show. He obviously wasn't "fired". Thanks again to Nachos Grande for these cards. Hope we can do future deals down the road! Especially if you have more non sport. Up next was a new trader in @Studdard2018 who had posted some sales and a few cards caught my eye so we made a quick trade. Kyle Lauletta numbered relic. I have the base but not this one. Ed Asner relic. A legend to me. He is also the only celebrity I know of to visit locally and put on a one man show. Sadly I missed it but my mother in law got to see it. She gave me a couple pictures of the legend. And finally a swatch from comedy legend Ben Stiller. I do have this one already but I will be more than happy to add one more and more than that. Thanks to @Studdard2018 for the trade! Hope we can do more! Final mail day came from a new trader in @SpartanKing1534. I saw this Ron Dayne autograph he had up for sale and since I can't afford to buy cards, I usually initiate trades and luckily for me this one worked out great. I could finally take Dayne off of my NY Giants autograph needs list. Great looking card and Dayne had a great signature. Thanks to @SpartanKing1534 for the trade! I don't have many more incoming mail days to show off but the ones that are coming soon will be HOT HOT HOT! I have been following some new accounts on Twitter recently that have paid off big time. Not only has it connected me with great new traders, but it has also brought in new friends as well. One of the ones I have spoken with the most is Bubba's Sport Cards. He had tweeted he was on the lookout for the Rodney Hampton super collector, *cough *cough me, that many others tagged me immediately with. He had a huge stack of Rodney's he was looking to move and send them to a new home. Obviously I was interested hoping to find some new ones and started to talk a trade. When I sent a big long checklist for him to find me some new ones, he decided just to pass them along instead. Said it's better that they all found a new home with someone who would appreciate them more. I was pretty surprised and thrown back by his generosity. A few days went by and UPS, yes he sent them UPS, showed up with a box jammed pack full of Rodney. I didn't expect this many at all. So I began to dig. Found a 1995 Score that I needed to replace my damaged one. Loved these parallels!! May be another set chase later on. Yup, this one as well. Even though I didn't land one new Rodney for my PC with all of those, I did pick it apart and find ones I can use to use in my sets instead of the ones in my binder and I found some that will replace some iffy corner ones with. There was also a ton of rookies that I am keeping all of as I am aiming to get as many as i can of each of those rookies. Goal is actually 100 of each. The rest of the cards I will be paying them forward with. Thanks to Bubba's Sport Cards for their generosity. I thank you many times! I am glad to also have finished up a trade with you as well and can't wait to show that off. Go give Bubba's a Twitter follow if you haven't yet! My buddy Tim who was the very first collector I came to know on social media, @Skunkman1998, recently sent me a surprise in the mail box. Well, I think overall it was expected at some point because we were working on a trade, but caught me by surprise when it actually arrived. Now I need to get on the go and send his return out. The fun thing about my mailings with Tim is that I never know what to expect. Sometimes it's simply fun to trade that way. There's no stress. There's no worries. No nickels and dimes. Just cardboard. Four Judges. I will have to see if any are needed for my set. Judge again! Shiny ones this time. I really like the Topps Fire one. Judging the distance on this home run. Three new Gleybers for that PC. Andy Pettite Heritage Chrome. Boy do I miss the days when the Yankees pitching took center stage. This is the second oldest Yankees card I now own. Tim must know of my fondness for Kurt Warner. Great dude with a great backstory and is a Godly man as well. Nothing I don't like about him. Davis Webb was just a Illusion to Eli Manning as he dissipated. However, I really like this card. Great looking one and something I hadn't seen up until now. Might be one of Panini's better insert cards. Wayne Gallman who I expect back next year. Unlike Andre Williams who is out of a job. I am surprised he doesn't join the new football league. Akeem Ayers autograph. What a signature! Amanda Nunes relic from my favorite Upper Deck product. Mauro for my non sport PC. Miesha Tate relic. A nice swatch to. Thanks goes out to Tim for the mail day. I hope to hit you back very soon! The Wes Wing is always full of surprises when you really dive in. Sometimes cards are not the only thing you find and sometimes cards are hidden within the walls of other items. That's one thing you will always need to do, is be aware The Wes Wing is always going to jump out and shock you with something. Pins, coins and caps. These are things I don't have in my collection but am now going to thoroughly enjoy. This should be a good read, just by it's cover. I have a few of these Madden Mcdonald's toys, but not my Gmen. This is top shelf item combining two of my favorite things. If there was a card to go with it as well,that's called heaven. Topps oversized cards. Love the embossing. Moses Malone vintage. Wes has been helping me big time with my weak vintage. This is pretty cool. Didn't have this before. I am going to keep it sealed as well. All vintage graded cards locked with a key in The Wes Wing. JPP rookie autograph. If only the Giants had actually kept him after his decent year in Tampa Bay. New Gmen including two Jeremy Shockey rookies. Just found a dust Webb in The West Wing. Emmitt insert I can never get tired of. Two more of the inserts I spoke about building the set of. And one long fist pump as we shut the door. Thanks for taking a trip with me into The Wes Wing. We are not fully done with seeing cards from The Wes Wing as many more will be seen in the near future in a different form. A Ginormo-humungo-over the top-over the rainbow-skipping in the rain-dancing in the streets-back flipping-side stepping-dabbing-thank you to Wes for giving me cards for The Wes Wing. Your generosity is uncanny and like I have said before only drives me to be better at it. Was This Trade Written In The Stars? How Do I Sort This?